Elegant in its approach to its themes, this stunning piece of work will remain unforgettable. It focuses on the tragedy of war and man’s inhumanity during wartime towards to all living things, but specifically on the classed as endangered species - Przewalski’s (pronounced ‘shuh-VAHL-skeez’) horses. It is summer, 1941. The Ukrainian Soviet Socialist Republic is being invaded by the Germans. Max is ordered to leave the Nature Reserve where he has been caring for the animals there for forty years. Included are the almost extinct Przewalski’s horses. He is ordered to kill them all so the Germans can’t use them for food. He has no intention of obeying. Fourteen year old Jewish girl Kalinka is alone on the frozen Ukrainian steppe. Her family is all slaughtered and she is dying of hunger and cold. Hiding in the woods close to the steppe, she is befriended by the pair of wild horses. Cunning and clever, their instinct for survival is as strong as the girl they become close to. The old man and the girl are drawn together by various circumstances and the need to survive. 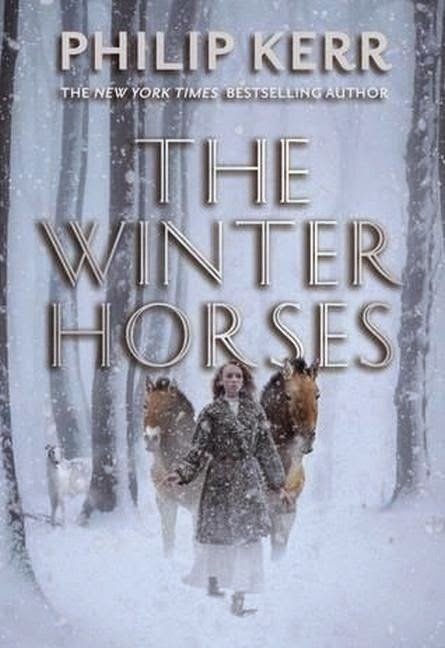 To save the last of the wild Mongolian horses, the courageous Kalinka must make the dangerous journey to safety through frozen landscapes with the Germans hunting her and the horses. Philip Kerr has drawn on historical facts to give authenticity to this unique subject which will send people to Google for more information about Przewalski’s horses. This almost extinct breed of wild horse, never tamed by humans, was brought back (although still classed as endangered) by captive breeding programs and today can be found all over the world. They can be seen at Werribee Open Range Zoo in Victoria. We get an intimate view of the natural surroundings through cinematographic scenes created with words. This brilliant well-researched book is deeply moving and highly informative. With various sub-stories and themes beautifully intertwined into one another, it is an unforgettable adventure into the human heart. It also challenges the definition of duty, obedience and conscience.